Have you been to the Children's Museum of Indianapolis lately? 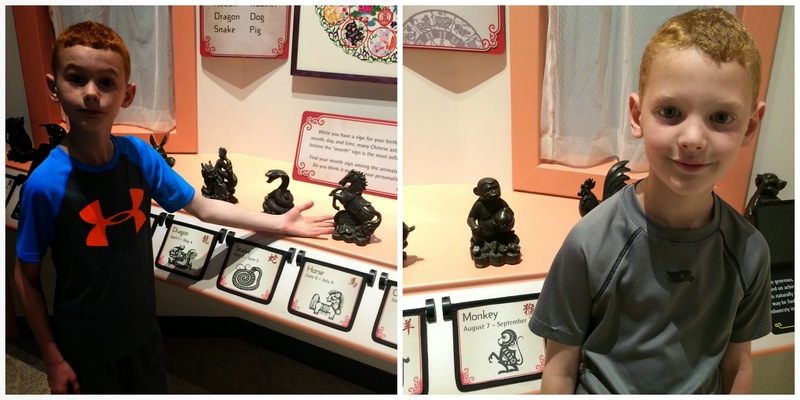 I took my nephews a couple of months ago to get a preview of one of TWO new exhibits focused on China. Unfortunately, we were just a few days early to see the Terra Cotta Warriors. But we will definitely be going back to see them (this is the ONLY place to see them in the entire country in 2014)! The entire museum is decked out in celebration of these new exhibits...they even brought back the giant slide to celebrate the Great Wall of China this summer. 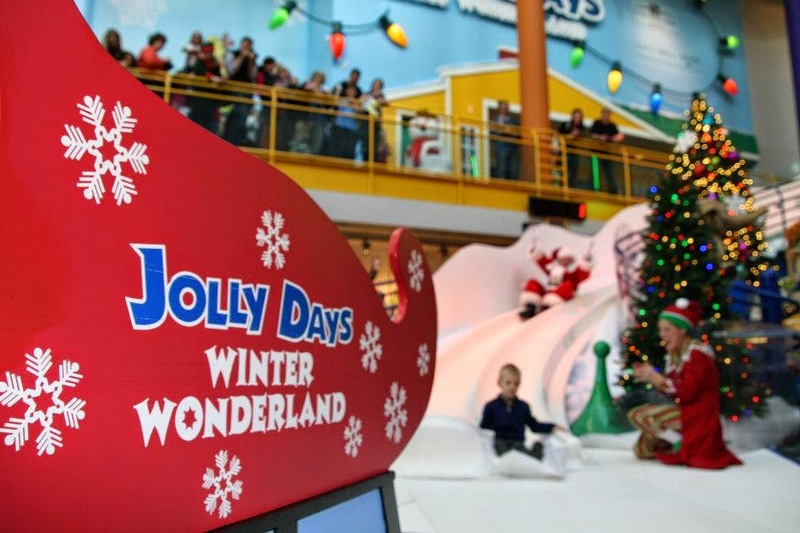 Sidenote: One of my other nephews was chosen to be the child to go down the slide with Santa Claus a couple of years ago. What a fun experience! The "Take Me There: China" exhibit opened in early May and is a great hands-on exhibit for children of all ages. My nephews are almost 7 and almost 9 and I was worried that the older one might think it was too "young" for him...boy, was I wrong! They had a great time...from riding the Bullet Train (the 9-year-old even referenced the bullet train weeks later so I guess it made an impression) to playing the instruments in the city square. Creating his own opera "mask"
You can email the final product too! There's even an animal hospital where you can care for baby pandas! and learned to say a few simple words in Chinese! was where they spent the most time...that surprised me! We all practiced using chopsticks...I still can't use them. Of course, they had to play with their play food! We spent over an hour in the exhibit (if it wasn't a school night, we could have spent more) and went home promising to take them back. For more information about the Take Me There: China exhibit, go here. It's part of the regular exhibits at the museum. 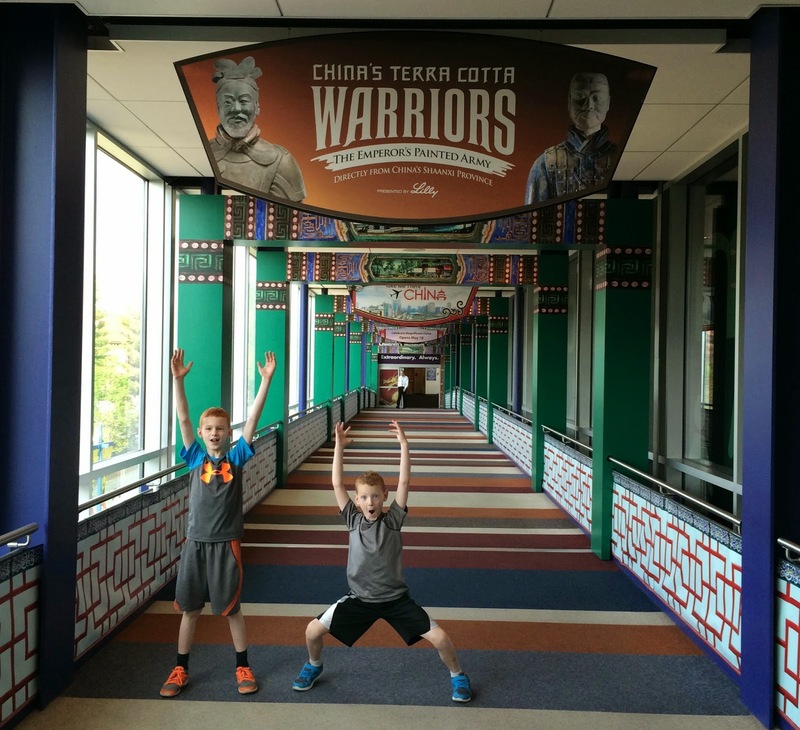 The Terra Cotta Warriors exhibit is at the museum until November 2, 2014 and does require a timed entry ticket (at an additional cost to regular museum admission). If you've been to either of these exhibits, what did you like best? Please leave me a comment. NOTE: The Children's Museum of Indianapolis invited me to a special preview of the Take Me There: China exhibit. All photos and opinions above are my own...who else would claim them! I love the Children's Museum! It's sad I lived in town for 5 years & only went once...I'd love to take my niece & nephews sometime.